SPREP (the Secretariat of the Pacific Regional Pacific Environment Programme) hosted a 3-day conference titled “Whales in a Changing Ocean” in Tonga April 4-6. 16 countries and territories participated in the conference. The conference included three break-out sessions taking place over a period of two days addressing 1) emerging threats to whales; 2) whale watching; and 3) scientific research. Cet Law co-convened and co-facilitated the emerging threats break-out session. Outcomes from the conference include a Ministerial Declaration currently signed by 11 of the attending countries, recommendations for the SPREP Secretariat, including its Whale and Dolphin Action Plan, and a draft Voluntary Commitment to the UN Oceans conference that countries are in the process of signing. 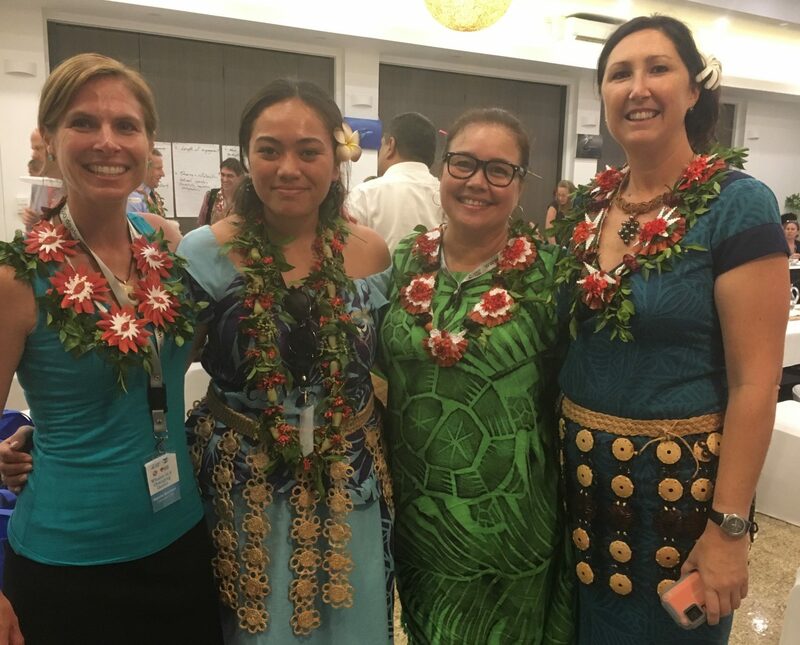 Pictured (L-R) Natalie Barefoot, Cet Law; Lahaina Tatafu, Deep Blue Tonga; Tiare Holm, Palau (co-convener and co-facilitator with Cet Law); Olive Andrews, Conservation International.